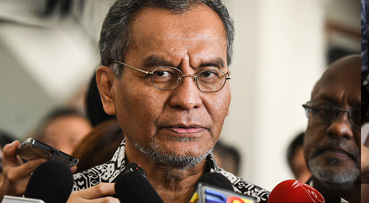 Some 40,000 allied health professionals will be required to register with the Health Ministry once regulations for the Allied Health Professions Act 2016 is ready to be enforced early next year, says Dr Dzulkefly Ahmad. The Health Minister said that this was to govern the professional conduct and ethics of allied health workers, who include dietitians, clinical psychologists, diagnostics radiographers and more. "It is our hope that with the implementation of the Allied Health Professions Act 2016 scheduled early next year, allied health practitioners will be required to register. "This will also ensure that their practices are better monitored," said Dr Dzulkefly, who launched the 12th Allied Health Scientific Conference 2018 with the theme "Moving Healthcare Forward" on Tuesday (Sept 4). The Act received royal assent on Feb 4, in 2016 and was gazetted on Feb 1 the same year. Currently, all healthcare workers are governed by their profession's regulations, except for allied health practitioners. When the Act is enforced, all allied health practitioners and those who carry out activities related to allied health will be governed by a new council that will be set up under the Malaysian Allied Health Profession Council. Dr Dzulkefly said that the law was needed to ensure that the best quality of healthcare was provided to patients. Health Ministry's Allied Health Sciences Division director Ruhani Che Ja'afar said there were 20,000 allied health practitioners in the public sector, and another 20,000 in the private sector. Among the professions that will be governed by the Act are audiologists, clinical psychologists and clinical scientists in the field of biochemistry, biomedical, embryology, medical genetics and microbiology. The others are dental technologists, diagnostics radiographers, dietitians, entomologists (public health), forensic science officer, and several others. In future, those interested to pursue a career as allied health professionals must meet the requirement of registration and adhere to a code of ethics and professional conduct, determined by the Council.